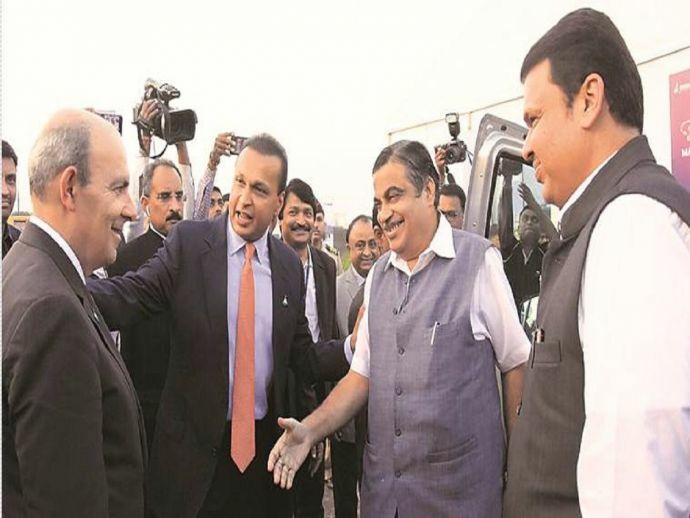 Thanks To Nitin Gadkari And Devendra Fadnavis, Dassault-Reliance Start Their Plant In Nagpur! The project would be the biggest private sector investment in the defense sector, and also the largest unit in Mihan. Two years after the allocation of the land in the Mihan-SEZ area, the Reliance Group is planning to start the production from 2018. The chairman of Reliance Group Anil Ambani visited the city for the foundation stone-laying function of Dassault Reliance Aerospace Limited (DRAL) manufacturing facility at the Dhirubhai Ambani, which was held on Friday. Along with CM Devendra Fadnavis and Union Minister Nitin Gadkari France's Minister for Armed Forces, Florence Parly was also present in the event. 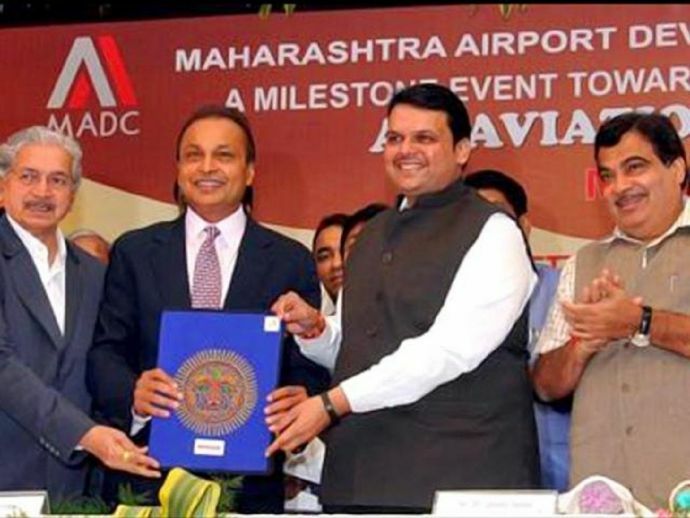 Ambani credited Nitin Gadkari and Devendra Fadnavis for the city being chosen for the aerospace project. "First we thought of Bengaluru, then Hyderabad. Then Eric (Dassault Chairman Eric Trappier) suggested we go to Gujarat, But I said I want to go to Nagpur. Gadkariji first suggested the idea of (having the project at) Nagpur. He said he will banish me from India if I took the project elsewhere," said Ambani in a report published in Economic Times. 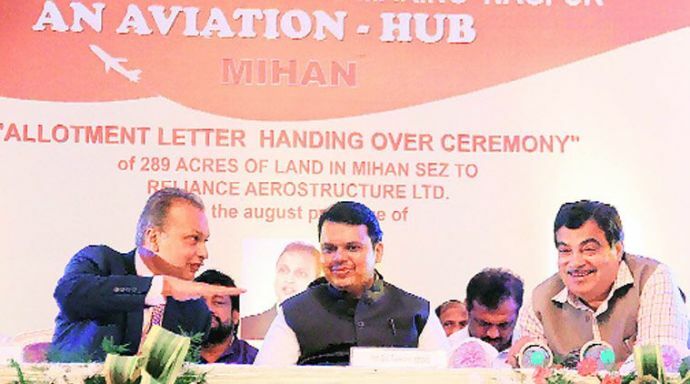 "CM (Fadnavis) said everything I need will be done for the project at Mihan. I don't think there's a better example in ease of doing business. Thank you, Gadkariji for twisting my arm and making me come to Nagpur" he added. The project is expected to assemble the aircrafts in Nagpur unit in the coming years. It is expected that this project will provide 700 direct jobs apart from 5,000 skilled jobs through pillarization. This would be the biggest private sector investment in the defense sector, and also the largest unit in Mihan with the projection to pump in Rs 6,500 crore.